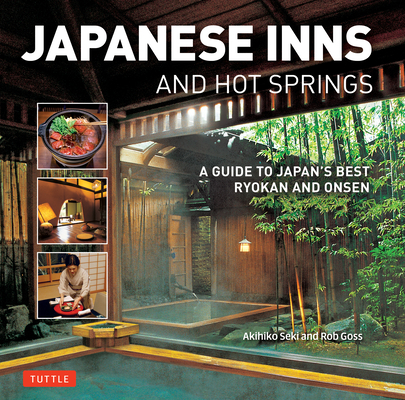 Above all else this ryokan guide reveals the enduring traditions of Japanese hospitality, a rich heritage reaching back a thousand years to the time when Japan's hot spring bathing culture took root. The beautiful properties in this book also illustrate the unique design sensibility for which Japan is so justly renowned. Rob Goss is an award-winning British writer and long-term Tokyo resident focusing on Japan, travel writing, and creative writing that ranges from short fiction to short-form poetry. His books include the NATJA award-winning guidebooks Tuttle Travel Pack: Japan, Tokyo: Capital of Cool and Japan: a Traveler's Companion. Rob has also contributed to books for Fodors, Insight Guides, Dorling Kindersley and Rough Guides, as well as for magazines including Time, National Geographic Traveler and 100 other publications around the globe.